Castle Primary School converted to an Academy on 1st March 2015 joining with Congleton High School and Black Firs Primary as part of Congleton Multi-Academy Trust. By working together and sharing all of our expertise it is envisaged that our family of schools will continue to grow and develop providing exceptional learning opportunities for all of our pupils. Castle Primary School has also become a feeder school for Congleton High School. As Head Teacher I am extremely proud to be leading Castle Primary School through these exciting changes supported by hardworking and committed staff. 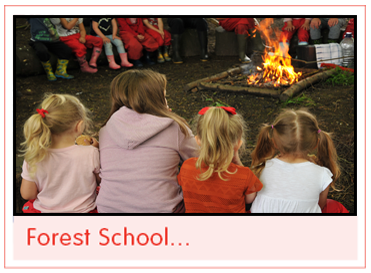 Our school offers children high quality learning experiences in a semi-rural setting, encouraging them to develop new skills and knowledge both in the classroom and the outdoors. 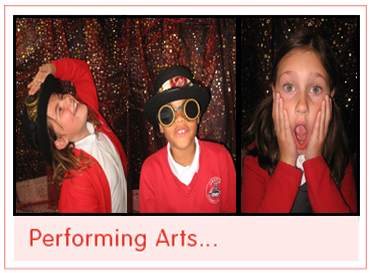 We are also adept at offering all our children opportunities within performing arts, producing concerts throughout the year. Our school has continued to grow over the last year whilst maintaining the values and community feeling of a small school. We enjoyed great success with our results in 2016, 2017 and 2018 in both Key Stage 1 and Key Stage 2. Our Early Years children also achieved a good level of development. Over the summer of 2016 our school kitchen was fully refurbished and is now providing quality meals and healthy snacks for all ages. Staff are also utilising the teaching kitchen offering lessons to all the children so that they can learn about healthy eating and balanced meals. Children attend residential visits to various local centres and all ages are also able to participate in numerous after school activities. We operate a Before and After School Club run by school staff. Our nursery has a curriculum that covers all aspects of learning through play to encourage physical, intellectual, emotional, social and language development. Our qualified staff are well trained and have many years of experience in childcare. We employ specialist Sports coaches who have trained in developing physical skills to our youngest pupils. Please contact the school on 01782 433218 if you would like to arrange a visit to look round. 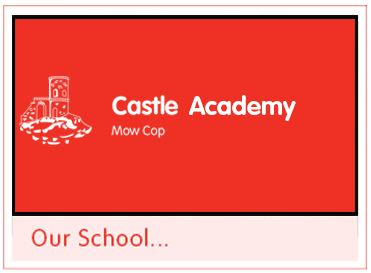 Head Teacher Email Address: jillmason@castle.staffs.sch.uk or Telephone 01782 433218. Chair Email Address: gailcumberlidge@castle.staffs.sch.uk or Telephone 01782 433218. Further information about the work of our Muti Academy Trust can be found using the link below. Whole MAT policies, procedures and financial information are also held on the CMAT website. Mr Richard Hinkley is the Chair of the Board of Directors and the CEO of CMAT is Mr David Hermitt - both can be contacted on 01260 730123. If you wish to request a paper copy of information on our website please use the school email.